A bit of a surprise when I ran into runners of the Nycredit Copenhagen Marathon this morning. 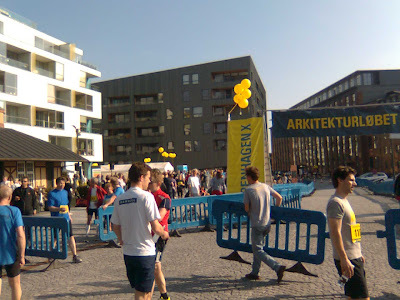 But finally after some slalom between the streets, the runners and the many spectators I got to Søren Kierkegaards plads for the start of the tour. What I didn't imagine was that actually the marathon would follow us during the whole tour or was it us following them...Anyway, the contrast from last week's tour was drastic! So few users on the watersides last week, and a crowd - ca. 12000 runners and probably as many spectators - today! Brave and courageous we were and especially our guide who had to manage somehow to talk over the cheering fans, the police's little ochestra playing "Under the sea" from Disney's Little mermaid and the sonorous horns and whistles of some enthusiasts. So, starting at the edge of the Metropolzone, at Søren Kierkegaards plads, our guide presents the projects of the Black Diamond (Schmidt Hammer Lassen) and the Museum for Jewish History (Daniel Libeskind) with a reflexion on the squares at the feet of the two buildings: what are their function? How are they used? Are they used? What weakenesses do they present? The last questions here are especially relevant for the hollow space that Schmidt Hammer Lassen designed out in front of the library. Close to the building, the space is well used thanks to the café who develops its terrasse close to the water. But the rest is a huge empty space for bike-parking and well, it isn't really defined. Like if it wasn't really finished. But hopefully this will change with the new building on the Bryghusgrunden, the Brewhous ground, (Rem Koolhaas - OMA) and the square would be activated by both sides. Also, Gehl architects are investigating and working on the square. They are architects but consider themselves most as urban planners and urban quality consultants. Read the famous Life between buildings by Jan Gehl and you will understand why: this is THE reference in terms of urban space and creating urbanity. The Bryghus project is for the moment being validaded. If everything goes well the building process should start in 2011...The project is huge: a combination of offices, housing, cultural institutions, conference center, public spaces and exhibitions, urban promenade, squares and play-grounds etc. Very exciting in terms of life and flows generated and intertwining on the site. Next stop is the Nycredit Glaskuben building and the Crystal (both by Schmidt Hammer Lassen). It must be the third or fourth time I am told about the Crystal and if I hadn't checked it out in a guide or on the architects'website, I would be able to define its function: extension to the Nycredit bank head-quarters. It seems that the most important here is the "crystal" allegory, the twisted structure touching the ground in three points and allowing public flow to pass under the building. The liberated ground will receive the Cloud landscape project (SLA, who has recently received one of the most reknow prices in the Danish architectural world): focus has been set on the different type of streams on the site, rushing businessmen, wondering tourists, Sunday walkers, bikes... each moving at their speed on their path. All those projects are situated only 10 minutes walk from the City Hall, Rådhuspladsen and the central station. But too few notice it. Therefore the City is aiming to develop access to the waterfront, to the cultural buildings - e.g. by creating a cultural axe - and connecting the wity centre with the new dynamics happening on the watersides, as they are developping the Metropolzone. Kalvebod brygge, which is the name of the city part we are exploring, is about to host the Kalvebod bølge project (Julien de Smedt), in a year or so. The purpose here is to create activation/activity sites in the city and on the water. In a mainly business dedicaded area, where quite some projects have risen without a logic and harmony to their context, those interventions mean to saw together the parts, and provide the area with a regained urban quality. We arrive slowly to the end of the tour with the SEB bank building, designed by Lundgaard & Tranberg. True to their reputation, the detailling is as beautiful as the buildings plasticity! In fact, it appears through my observations that the plasticity can only be right when the detailling is right. Lundgaard & Tranberg are the perfect example for that! Here, between the two buildings starts also a green corridor leading down to Dybbelsbro (well, it should lead further down, in to the big DSB railway ground but no concrete plan or initiative exists yet). This green path extends from the "blue one", the main canal and waterfront. They profit from each other and should work together to bring life and quality to Kalvebod. The green path will be a part of the new green biking paths passing through the city. If I am right, the landscape architects from SLA work on this project too. The green corridor develops up to 7 meters height, corresponding to the second floor of the SEB complex. It works as the foyer for the two buildings, as a green lung for the city and as a roof for the new part of the national archive, Rigsarkivet. More of Rigsarkivet can be seen behind the SEB buildings. A huge monolith block without windows, protecting and keeping a national treasure and heritage and the scientists and searchers working on it. The only expression outwards is the brick wall, which paterns apparently are extracted from the very first writings found in Denmark, zoomed up and applied into the facade's plasticity. Finally we arrive at the Wake Up Hotel and Tivoli Congress Center (both by Kim Utzon). This last building is also the ending of the green floating gardens. It was interesting to see and get some more details about a part of the city we already had a sneak-peak at last week tour, discovering more of the considerations behind the architecture and plans along the waterside. Copenhagen is really growing constantly. It is really good to see that the growth also is within the city borders, not expanding out on nature and agriculture landscapes, but working on the inner spaces and holes, getting more dense, more alive, and thereby also more sustainable. 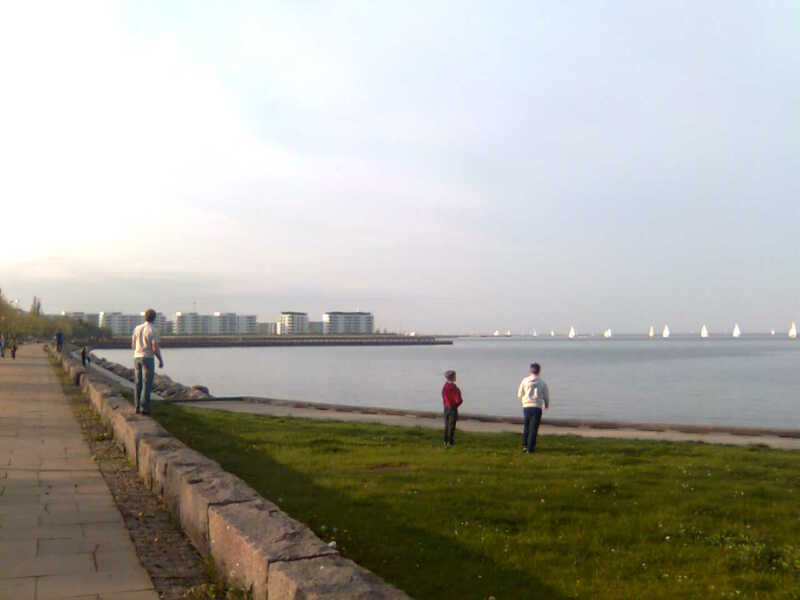 I hope to be able to get to the next tour: a bike tour through Amager. 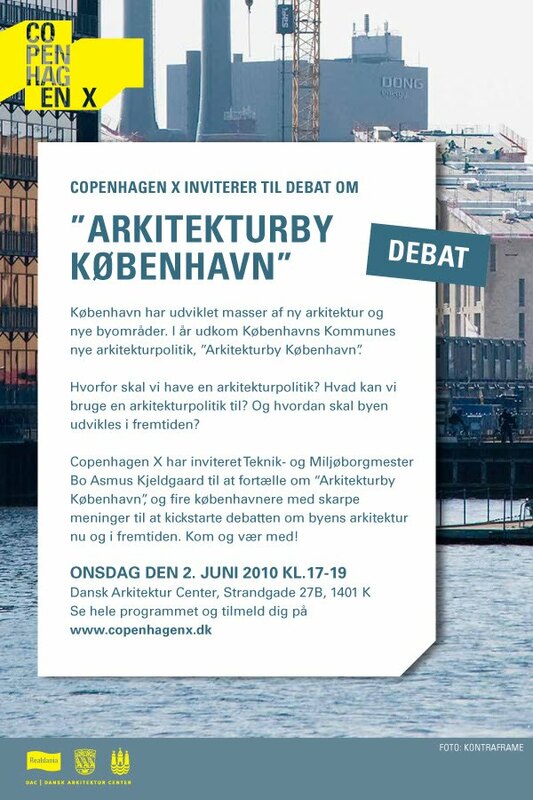 We'll be seeing the neighbourhood development at Holmbladgade and Prags Boulevard, as well as biking down the whole Amager Strand Park. Rain was pouring down on Saterday and Sunday wasn't looking much brighter but nonetheless I jumped on my bike and went to the first free summer tour of DAC, a harbour tour from north to south, from Søndre Frihavn to Sydhavn. Our guide took us on a journey exploring all the thoughts, discussions, masterplans, projects and buildings - aswell the realised ones that you see today along the waterfront as those that stayed on the drawing board. The harbour of Copenhagen has been the center for a very strong and dynamic development the past years. The industrial waterfront was emptied from life and no interest nor recognition was shown for the waterspace as quality bringing element to the city. Since several years, the renewal of waterfronts has become a trend in post-industrial cities, such as the renewal of their brown fields. The question is: what to do with the left-overs of industry, which are parts of the city -sometimes very central and huge areas- suffering from a very negative image. Among those, the most drastic example is Liverpool waterfront! Usualy, harbours and waterfront are planned to become the center for art and creative production, combined with culture and a dynamic mix of functions. 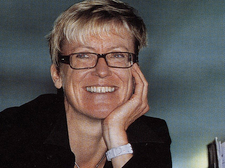 Here I refer back to the conference of Eva de Klerck on NDSM in Amsterdam northern dockyard. As starting point, an enquiry was made about the kind of buildings and functions that should be hosted in the harbour and what kind of typology. Henning Larsen architecture office came with the conclusion that it should be big cultural buildings, justifying the typology of the new theater (Lundgaard & Tranberg), the opera house (Henning Larsen), the Black Diamond (Schmidt Hammer Lassen) or the coming Brewhouse (OMA). The city of Copenhagen has also decided that watherver will be built down to the waterfront, it should always bee possible for citizen to walk the whole way up and down, on a public deck or promenade. This means that all projects, even housings, have to deal with complex and interessant topics such as the delicate private-public transition. 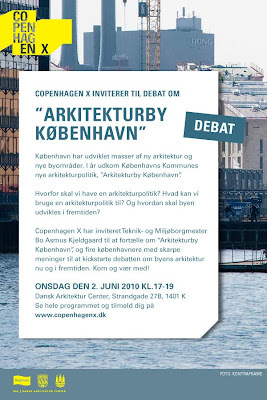 The city also has developped a special institution, By & Havn, which is concerned with the development of Copenhagen harbour and Ørestad and has continually an overview on the continuity and unity between the masterplans. ... into the Søndre Frihavn and Marmormolen - where Copenhagen hosts the ferries coming from Oslo and Poland, recently developped and supposed to become a very lively and busy area in the future due to the hopefully growing interest from firms and professionals, and due to the coming FN-project (3XN) and tour projects (Steven Holl) on Marmormolen. 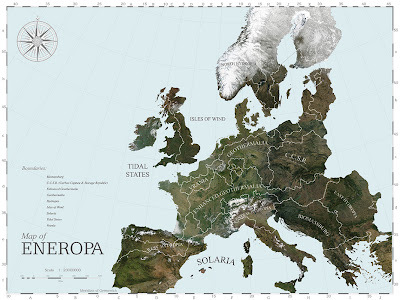 6. a city for all and for every hour of the day with diversity in typologies, functions, lifestyles and atmospheres. Down Langelinie, where the mermaid should be when she isn't visiting Shanghai, we observe the dockhouses, old, restaured or just newly built, positionned along the water as heavy blocks. The tour continues passing the Kvæsthus bridge - old dock for the ferries and where you can enjoy today during the summer Copenhagen biggest beach -, the new Theatre house (Lundgaard & Tranberg), the temporary urban spaces created by citiznes along the old harbour and close to the custom house, the extension to the Royal Library, the Black Diamond (Schmidt Hammer Lassen), the museum for Jewish History of their escape from Denmark to Sweden (Studio Daniel Libeskind), the Brewhouse site where hopefully OMA's project soon will stand - a mix of cultural institutions among which DAC, offices e.g. Real Dania one of the biggest fond for the building business in Denmark, conference rooms, sun decks along the water and on the roof, housings, play ground for children and young people of all ages -, the metropole zone where a bunch of offices, hotels and conference centers (firms as Lundgaard & Tranberg, Kim Utzon, PLH has been at work there with Ticoli conference center, Wake Up Hotel, Copenhagen Island Hotel, a new bank and other firms and production offices) has popped up between the waterside and the railway. We arrive to the southern part of the harbour with the new Havneholm and the Fisketorvet on Kalvebod Brygge. It isn't the nicest part of town, architecturally seen. The reason is that many projects have just risen there without any propper consideration of its neirghbour or context. The grounds were sold in the 1990's by the City when it was almost bankrupt: prices were low and big firms just bought the sites. No masterplan was designed and you can definately tell by the general look of it. Fisketorvet, the shopping mall and cinema, is comparable to an American mall, huge labyrinth where consumtion is the purpose and only logic: no interaction with the particular surroundings, a complicated box with a black shiny shell, no genius loci! But passing the bridge and you'll see the seducing housings from Lundgaard & Tranberg where privacy and public spaces are delicately marked via the plan, the volumes and the use of inner yards and canal. Passing the bridge of Dissing+Weitling - known also for the Storebælt bridge - we move slowly down to Sydhavn. This part of Copenhagen weren't thought to be developped once: people would never live that much south from center. So you still find some heavy industry and production buildings. But it is also the site that was given to Soeters van Eldonk in order to create a canal city inspired by Java eilanden in Amsterdam. The Dutch studio designed the masterplan and in collaboration with Arkitema developped the typology that would suit the plan and express the differenciation between inner and outer parts, more private and more public exposed facades. At least 5 architecture studios were set on each block in order to assure variety in the facade design, probably an expression for a hoped social diversity. Passing by Metropolis, designed by an Indian firm and rising in the middle of the waters, we take a quick look at the last bit of ground that should receive one day the continuation of the masterplan for Sluseholmen. This part of the city is still very monofunctional and lacks easy connections to the city centre. Therefore the city has open a competition for a basic school along the water. This was won by JJW architects: their project will take as much advantage of the presence of water and is designed so sportive and recreative activities will be possible along and in the water of the canals, that way cultivating the children's relation to water. Furthermore, a bridge, designed by Hvidt arkitekter, will connect Sluseholmen with Teglholm and allow easy access by car to the city center. As we sail back we pass Amagerfælled, the biggest protected green zone in Copenhagen. Behind it, lies the Ørestad and its experimental architecture. This piece of nature is used partly by garden collonies and self-builder society, Nokken. A plan is in making that would connect that pre-Christiania part of town to the city by low houses and studios, getting higher as they get closer to the Havnestad, or "Harbour city". The Havnestad was the place for soya production in earlier years. An explosion put a stop to the production. Now the old dock buildings have been reused, the silos are transformed into appartments and office spaces have been created. The Gemini Residence is a work of MVRDV and JJW architects. The old grain silos, the Diesel house and the red brick silos house are the three remaining silos from the soya industry. Further up, a park has been created along the water, again integrating the industrial past of the harbour: an old wagon stands in the middle, railway tracks crosses the pavement, an old wooden boat has been turned upside down and is now a kind of kiosk or scene with a roof. And then of course we have the well-known harbour bath by PLOT. Julien de Smedt, co-founder of PLOT before they parted to JDS and BIG, is developping a new harbour bath at Kalvebod brygge and another one will come in the southern harbour. But what a good overview I have now about all the projects in the harbour. So exciting! I just wish they were as lively, busy and dense as they are on paper. Of course the bad weather, the cold month of May and their young age can justify this. It takes time before a new city part is wriggling with life. I still miss maybe the physical connection between all those projects, the actual continuity that seems to be so important for both architects, urbanists and By og Havn actors. My belief is that it will appear with an even more active use of the water and not just its sides. Time will show. 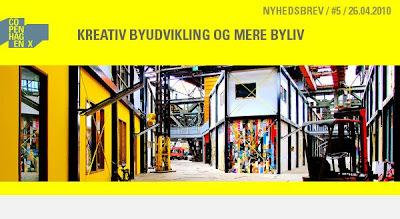 Look what a good news just popped up in my mail box : the summer guided tours of CopenhagenX... Free tours in the city, looking for/at the newly developped areas and projekts, by foot, by bike or by boat. Follow the guide, or follow me... I'll be going and reporting. A place full of contrasts... Especially today with the grey Danish weather! Outside, the old industrial harbour stillbearing the marks of its metallic past. Inside, the celebration of luxury and refinement. The materials - the marble on the floors, the polished maple pannels on the walls of the great hall, the glass reflecting the water and allowing the view of the panorama on the waterfront, the glass used by Olafur Eliasson for the three great chandeliers - the space and the light create a place where time stops. This suits very well the opera world if you listen to the definition that the operachef Kasper Holten gave at his welcome speech today: "a place where time is flexible, where you can stop and reflect on the great moments and feelings of our human lives that are too complexe or terrible to describe with words...a place where the music and the voices celebrate those moments". The guided tour took us down to the rehearsal hall, behind the scene, up to the rehearsal artist loges and down again to the foyer. Great technics were described that assure the right acoustic, the feeling of daylight even at -5th floor, the efficient change of coulisses (different masterpieces being produced and performed for a same period) etc. It is a great piece of architecture, no doubt about that. But I cannot forget the very close resemblance to the music hall of Luzern in Switzerland, done by Jean Nouvel. When you compare, the swiss original one is more convincing, especially in the work done on the great music hall. Much more true to the concept in a way. I also regret that the Danish opera house has such a beautiful front part - facade and foyer space - leaving the administrative and backstages in a very cartesian plan of rooms linked by corridors. When you get to the upper part and deck, the plan opens more outwards again and the rooms breath again. But the small offices and their facade are quite basic. Maybe this unforgiving feeling also comes after the visit of the facing brother : the theatre house. Yes, you find corridors and stairways but somehow they are a part of your journey in the building, they are made interesting by small but decisive details. But here is a thing I particularly appreciated... the continuity between the floor inside and the stone deck outside. You ought to know that the opera house has been the seat of quite some polemics also, among which the most strong ones were between the architect and the client! And then the Liebeslieder, well, what else to say that is as beautiful as ever. One of the most known piece of Brahms probably: its harmonious atmosphere must be the reason! The bass singer gave us a funny little anecdote. It is written on the scores that it is a piece for piano with vocal accompaniment "if desired", which means that the choir part that we all know, recognize and hum along, is actually accessory! 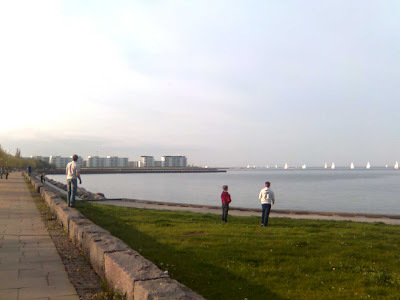 Pakhus48 is situated in Frihavnen, in the north harbour of Copenhagen. It lies in a rough industrial-looking context with immediate views on the waters of Øresundet. Pakhus48 shelters design firms such as Montana, Luce Plan, Fritz Hansen, Kvadrat, Jørgensen, Vola. They stand for some of the finest interior designs and solutions and have been collaborating with great names from the designer world in order to produce and promote esthetic lines and functional products. The Spring Event I attended yesterday was as fine and glamourous as the products exposed there. But most of all, I had the chance to assist presentations by Ole Gustavsen, architect from Snöhetta and Alfredo Häberli, Swiss designer. They represent different scales of the design world but with the same attention for use, clear logic and high quality. Ole showed us some of the architecture projects Snöhetta did/is doing in the Muslim world. It was amazingly interesting : the excitment but also the challenge it must be to produce a shelter for a community, citizens of a culture where heat and shade, climate, religion, topography, traditions and habits are so different from what we are used to in Europe. By the way, it seems that Scandinavian architects are quite often acting in the southern architectural world and are quite good at it - often those buildings are landmarks to the country and references to the architectural world. Take for instance, Jørn Utzon's National assembly in Kowait city, Henning Larsen's work in Saudi Arabia, Snöhetta's library of Alexandria. Alfredo started by expressing that he felt as a student to present his work after those projects of several hundred thousands square meters. He showed us his work and inspirations in a very humble and humoristic way. Humor, th key to great design? Well, as long as the final product shows line cleverness, material sensibility, quality awareness and good understanding of the use we make of our environment. That is at least what Alfredo reveals. Fascinating and great. The rest of the evening was just agreable: beautiful lines, forms, colours, simple and clean solutions...A joy to the eye and the hand. The whole thing in wonderful warehouse settings. In some way it had the same atmosphere as NDS in Amsterdam - the difference is that here we are exhibiting the production of artistic and creative disciplines. the 6 May : designer Alfredo Häberli from Zurich and architect Ole Gustavsen from Snöhetta, Oslo, will be making a presentation on methodology, inspiration sources and architecture in the muslim world. I am looking forward to that! Jeg forstår ikke altid så meget alt det bag dans og koreografi men synes det er en fascinerende verden for de rumelig aspekter og den kropselig og sanselig opmærksomhed det kræver. Det kan siges at det var en spændende erfaring til som kunne opleves på scenen i SMK. Stedet egner sig også til særlige rumelig oplevelser! Et af mine favoriter i Kbh: det er et af de få steder hvor man kan stå helt fysisk i overgangen mellem en historisk bygning og sin moderne udvidelse. Man står i lyset, i et rum mellem udendørs og indendørs, et teater til parken hvor scenen - som særlig kulturel mødepunkt - byder på udsigt og indsigt. 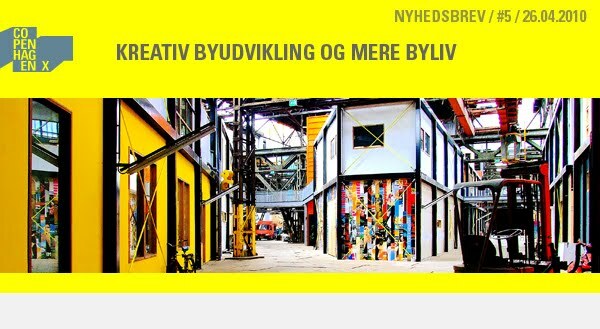 SMK har en fantastisk samling af kunst og nogle rigtig interessante udstillinger men erfare det transitions rum - skulpturgaden - har altid haft en vis effekt på mig, allerede ved mit første besøg som barn - naiv og uvidende mht det uddannet arkitekt blik. En fornemmelse at stå hvor det sker. Det er nemlig ikke en overflade som er i kontakt med den gamle bygning, det er et rum: det er en stor forskel! Selv udvidelsen er selvføldig smuk med vinduer og rammer til både omgivelserne, udstillingsrummene, caféen, den gamle facade. Og overfladen og detajlerne - ja, fordi et rum har trods alt en side som er i kontakt med det gamle - er vel udarbejdet. Men kom selv og erfare skulpturgaden og scenen, rummene og deres indhold.